I offer several levels of classes for varying abilities at different locations in Eugene and Springfield. They are often full, so be sure to pre-register by phone or email me about availability. A few classes offer "drop-ins." Click the buttons below to view descriptions, schedules, and locations for each class. Proven exercises to build bones as well as help with better balance. It includes some floor exercises. This fun class is half aerobics and half strength-resistance training. It includes floor exercises. 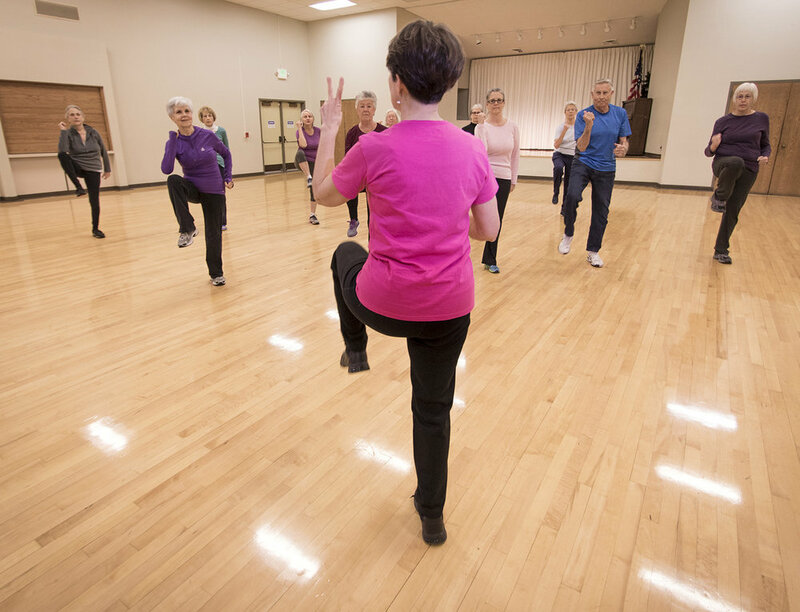 This is a fun and easy class choreographed for people with arthritis, joint pain or muscle pain. Designed for those with painful knees, hips, backs, shoulders and people with balance issues.